Susan Fletcher was born in Sherman, Texas and received her Bachelor of Fine Arts in Interior Design / Industrial Technology from the University of North Texas in 1989. Prior to her involvement in the political realm, Susan worked for Sunbelt Savings / Bank of America as a Commercial Interior Space Planner, later working freelance as an independent contractor in the commercial construction industry. Republican Party: Susan’s political involvement began in 1993, when she worked to establish the Denton, TX chapter of the Christian Coalition, and served as a delegate to her first Republican Party of Texas State Convention in 1994. Much of her early involvement in the GOP centered around campaigns, working to get solid local conservatives elected to office. In 2008, Susan began working on the Election Ballot Board, helping to ensure election integrity as the mail-in and electronic votes were processed. In 2010, Susan attended an RNC’s Women’s Summit in Washington, DC, nominated by Congressman Sam Johnson. In 2011-2012, Susan served two-terms as President of Golden Corridor Republican Women, a conservative TFRW club encompassing Collin, Dallas and Denton Counties with over 500 members. In 2012, she served her first term on the RPT State Platform Committee, and was again appointed to serve in 2014, where she also served as Chairman of the Education Sub-Committee. To this day, one of her greatest honors was being elected to serve as a National Delegate in 2012, representing Congressional District 3 at the Republican National Convention in Tampa, FL. 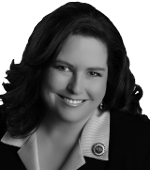 Public Office: In May of 2013, Susan was appointed by Governor Rick Perry and confirmed by the Texas Senate to serve on the Texas State Board of Public Accountancy, a regulatory board which certifies, examines and licenses CPAs in the state of Texas. In 2014, at the urging of many local leaders, Susan ran for public office, 21 years after entering the political arena, and was elected to the Collin County Commissioners Court where she now represents approximately 250,000 constituents in the northwest sector of Collin County. Along with being a responsible steward of taxpayer dollars, Susan ran on a platform supporting economic development, transportation infrastructure and public safety. Private Life: Outside of politics, Susan is the International Travel Coordinator for All the Difference Radio, the teaching ministry of Dr. Wayne Braudrick, Pastor of Frisco Bible Church, where she also serves on their Missions Board. In 2012, Susan chaired a fundraising event with Glenn Beck benefitting Assaf HaRofeh Medical Center, located outside of Tel Aviv, to convert their underground parking facility into a wartime emergency room. In her free time, Susan enjoys expressing her creativity through art, photography and writing. She is also an avid travel enthusiast and Master SCUBA diver.